That's $670 million in THE FIRST QUARTER. He's going to be netting two billion from these crooks in one year at this pace. I mean, if anything the GOP is getting the short end of this stick. Shouldn't they be charging him more? ...but as of now, this is a reality in American political life. Money is king, and at least to the GOP, nothing else matters. 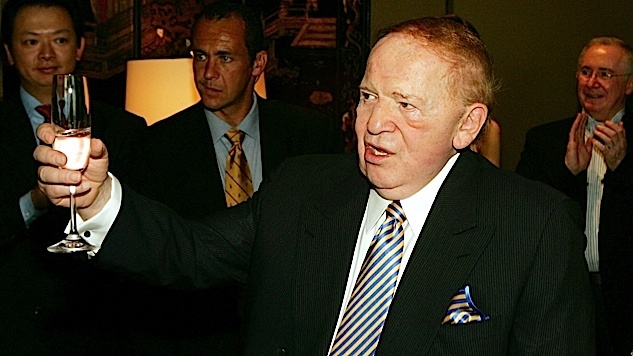 And just for an extra bit of trivia, Adelson’s donation is a drop in the bucket compared to what the Koch brothers are going to spend.